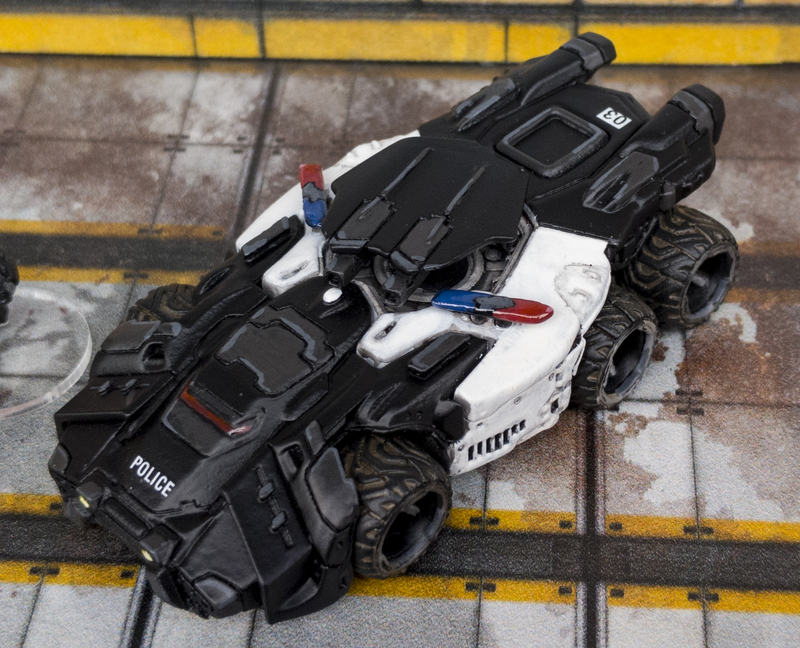 The Arbitrator 6×6 Advanced Support Vehicle is a next-generation vehicle designed not only for the modern battlefield, but to keep citizens safe on city streets. 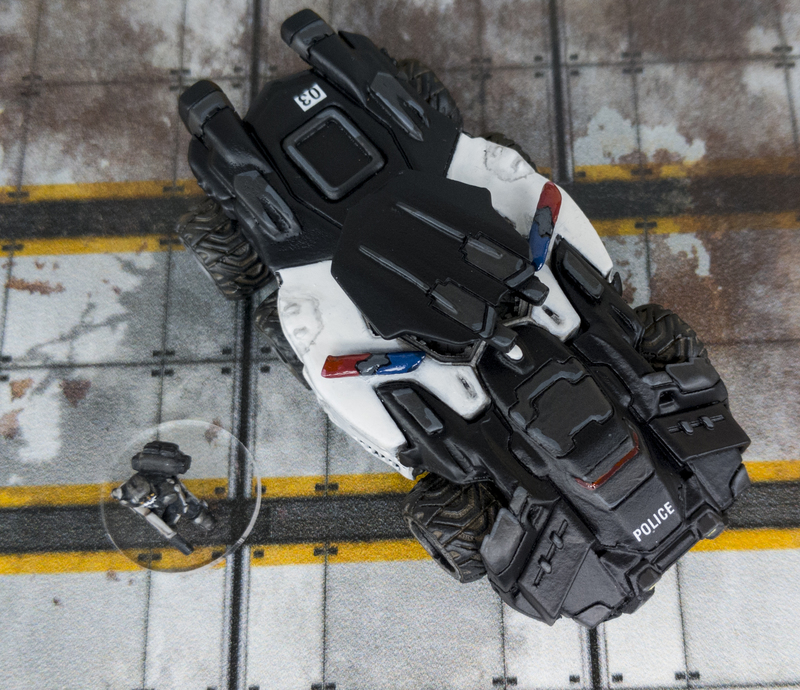 Designed with advanced composite armor and variable height directed-energy turret (with stun options!) the Arbitrator can not only take on many threats but also command fast moving engagements. 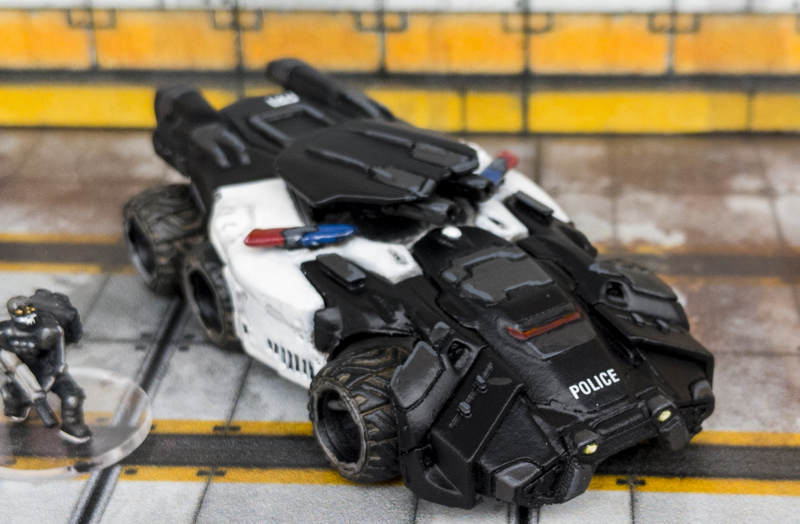 Also equipped with the latest in variable geometry tires, micro-missile and tear gas/smoke launchers, IED and communication jammers, crowd-suppression sirens and a large cargo/prisoner area, the Arbitrator can handle any civil disturbance in style. The single driver is protected by an advanced full-protection cockpit and augmented in the latest in “glass HUD” and assistant AI technology. For full-out warfare all the weapon systems can be upgraded to increase lethality and the prisoner compartment can be hot-swapped for ammunition and battery storage. 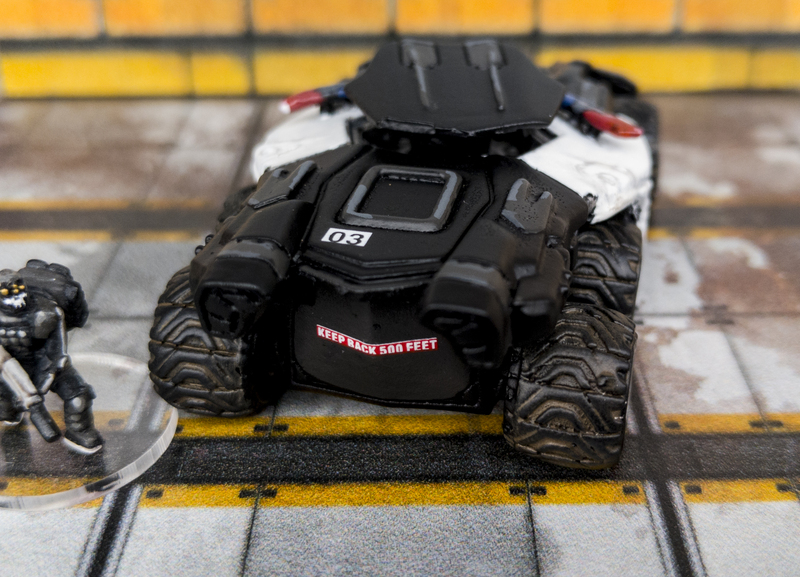 The Arbitrator is a 15mm-scaled multi-part resin kit.